Casino JEFE launched its activities in 2014, as well as his fellow shopkeeper, Lucky Dino. Both facilities are owned by Lucky Dino Gaming Ltd, which is operated under the jurisdiction of MGA. The site has a funny cartoon interface and a cute mascot in the form of a cat in the mask of a luchador. It is also filled with a large number of games from the leading manufacturers in the gambling niche, so each player will find here something to his taste. Casino JEFE, like its predecessor, is trying to ensure the safety of its customers at every stage of interaction. The site supports encryption using SSL certificates, which means that visitors’ data and transactions are securely protected from being intercepted by hackers or DDoS attacks. Despite the fact that the use of such certificates is the most basic level of protection, many casinos today are not ready to provide even this. Therefore, Casino JEFE has a significant advantage over them. Although the site’s rules do not contain any information about casino advantage and third-party accreditation, many slots display an indicative RTP. To find out its parameters, just click on the question mark icon, which is in the menu of each game, in the lower left corner. As mentioned above, the casino has a license from the Malta Gaming Authority, which gives it the right to carry out gambling activities in most parts of Europe, with a prior aim to the northern part – Germany, Finland, and Scandinavia. Users from the United Kingdom are not able to register, as the portal has not yet received the necessary permission from the UK Gambling Commission. Separate attention also deserves the cooperation of the site with organizations that help in the treatment of gambling addiction. A special section of the portal contains all the necessary information about where to look for support if you find yourself experiencing symptoms of ludomania, and also help set restrictions on the game or freeze your account for a while. Casino JEFE is a web platform that is based on NetEnt software. The site has a large selection of games from this brand, along with slots form Microgaming, Pragmatic Play, Yggdrasil Gaming, Wiliams Interactive, Play’n’GO, and other well-known names. However, only registered users can get full access to the portfolio, which can somewhat bring down the hype. But the registration procedure itself is extremely simple, and in just a few seconds you can get access to a library of more than 250 games from leading brands: both time-tested classics and new products using modern technologies and stunning visual effects. – special games: keno, as well as slot machines that do not fall into the above division. But special attention should be paid to a special player leveling system, which is known as the Bounty Meter. With each win in their favorite slots, the player receives an increase in level, and the overall progress of pumping is noted on a special ladder at the side of the screen. As the level rises, all new features are unlocked: personal bonuses, mega-spins, cash prizes and the opportunity to participate in closed jackpot tournaments. And after reaching the fourth level in the JEFE Adventure system, players receive an accelerated technical support line, which guarantees to resolve all issues within 15 minutes, and if it does not fit in time, the player receives 10 euros to his balance, which he can immediately withdraw or spend without wagering. The casino offers its customers a three-stage bonus system called JEFE’s Awesome Welcome Package. For the first three deposits after registering on the site, you will receive a match bonus of 100, 50 and 75%, respectively, but not more than 100 euros. Each deposit is additionally topped with super spins, and you can spend it at your choice. And as stated on the casino site, all bonus spins free and don’t require the wager. Right after registration, a player can also get 11 free spins to his account for use in any slot machine. Remember free spins winnings are wager free (real money in other words). Deposit match bonuses are subject to 50x wagering requirement in 7 days (Bonus only). Then the player gets the opportunity to withdraw bonus funds together with the winnings received during this time in any way convenient for him. The site supports most of the currently known methods of depositing and withdrawing funds. Players can conduct transactions using VISA, Mastercard and Maestro credit or debit cards, as well as common payment systems and electronic wallets. Transactions to replenish accounts usually occur instantly, while payouts take up to 2-3 hours, in rare cases, for example, when withdrawing to Neteller, up to one banking day. The first withdrawal of funds in the current month is free, but in the future, you need to pay a 3% fee for withdrawal, but not more than 25 euros, depending on the size of the amount won. 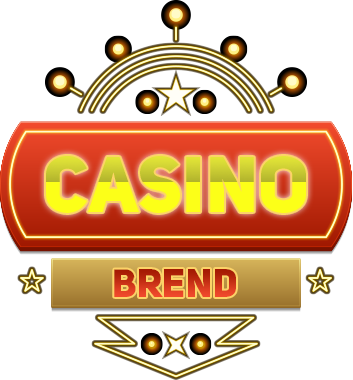 Another feature of casino payouts is that winnings greater than 20,000 euros are divided into 10 payments and paid within 10 months from the time they are credited to the game balance, so you need to take this into account. Technical support promptly responds to questions and complaints and tries to settle them in favor of the player. The only downside is that it is not around the clock: hours of operation from 10:00 am till midnight CET. But you can always leave a message in the chat window, and employees will answer it later. Casino JEFE is a rather pleasant and reliable site that can give the player a lot of positive impressions.